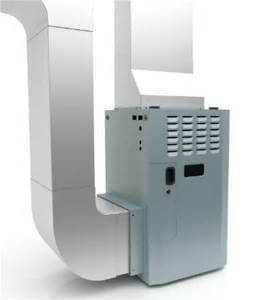 Is your furnace ready for colder temperatures? In many cases, it has been more than a few months since you’ve heated your house. But we know the weather will cool until it’s downright cold. When your furnace has pilot light or ignition problems, it blows cold air or provides warm air only occasionally. And who wants cold air blowing inside during winter. If your filter is clogged or dirty, your furnace won’t function to full capacity. Clogged filters filled inhibit airflow, which means less heat in your home. With regular checkups, your service technician can catch problems before they affect your comfort. “Complete oil or gas heating system replacements are 70 percent more likely for systems that have NOT had routine maintenance.” And having an annual furnace checkup is a lot less expensive than emergency repairs. A variety of things may cause improper airflow in your furnace. These include worn out bearings or broken belts. When air doesn’t correctly flow through your home, you’ll see higher energy bills. This device controls the amount of heat your furnace will produce. It also determines when the heat comes on. So if you program or set your thermostat and nothing happens, there’s a problem. The good news is that many furnace-related issues can be avoided when you get your regular furnace checkups from Eyman Plumbing. Call us today at 402-731-2727 to set up your appointment.